We are saddened to hear of the two injury accidents which took place in Lynn. With thousands of motorists traveling on streets and highways daily across our state, accidents are bound to happen. They happen when you least expect and seemingly at the most inopportune times and, in many cases, cause significant disruptions to your normal routine. When you have been involved in a crash you are experiencing a range of emotions depending on the severity of the accident. You may be in pain and unable to do the things you used to do. 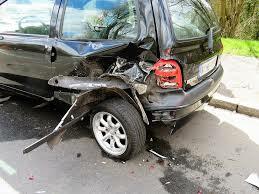 Your accident may be so severe that you are forced to take off work while your recovery is ongoing. It is easy to begin losing hope and feeling like the accident will consume you and your life forever. We know how difficult it is to experience a personal injury accident because we see people living with them on a daily basis. At the Law Offices of Jeffrey S. Glassman, our team of attorneys and paralegals focus exclusively on helping injured victims recover compensation for their injuries. Our job is to protect your legal rights under the most difficult of circumstances that you are facing. When you work with us, you will get a caring and experienced group whose sole focus is to maximize your recovery so that you can move on with your life. The accident does not have to define you. For a free consultation to speak with one of our attorneys, please call us now at 617-367-2900.